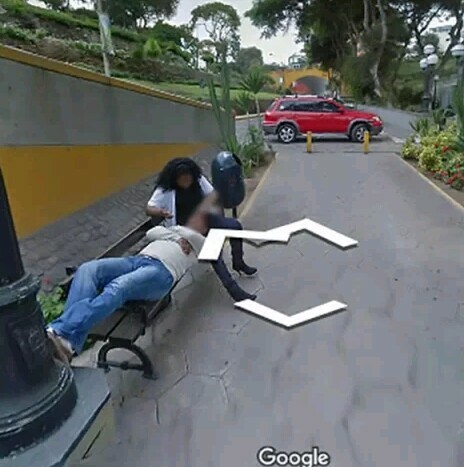 A husband recently caught his wife cuddling another man and stroking his hair on Google Street View so he divorced her. The man was trying to plan the best way to complete his journey to get a popular bridge when he spotted someone who looked familiar. The woman was sitting on a bench with a man's head in her lap while she stroked his hair. The husband realised the woman’s clothes were identical to those of his wife so he zoomed in on the image and realised it was in fact his wife. 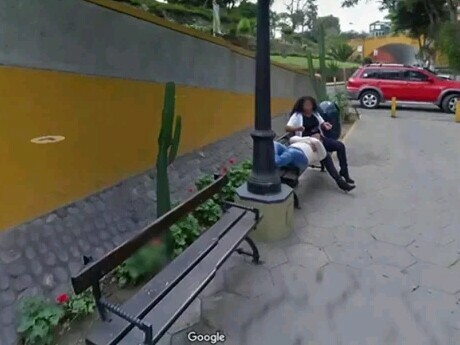 The photos were taken by a Google camera car in Lima, the capital of Peru in 2013. Despite the photo dating back to 2013, he angrily confronted his wife over her past infidelity. and she admitted to having an affair back then. The couple later divorced as a result. The heartbroken man shared the photographs from Google Street View on Facebook where it gained a lot of attention.